Engineer Or Architect Using Cell Phone On Blueprint In Building Construction Site. Lizenzfreie Fotos, Bilder Und Stock Fotografie. Image 116540145. Standard-Bild - Engineer or Architect using cell phone on blueprint in building construction site. 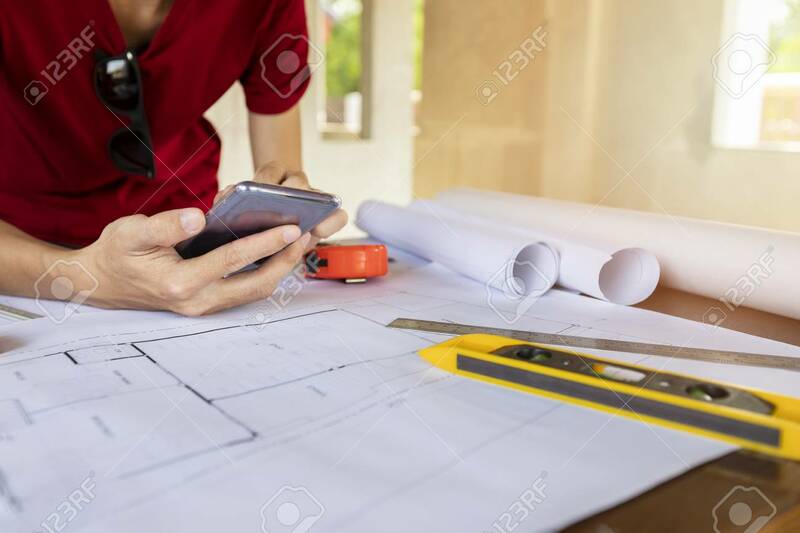 Engineer or Architect using cell phone on blueprint in building construction site.